Viola Day is Viola week!!!! Dear Violists, I hope everyone has had a good summer! 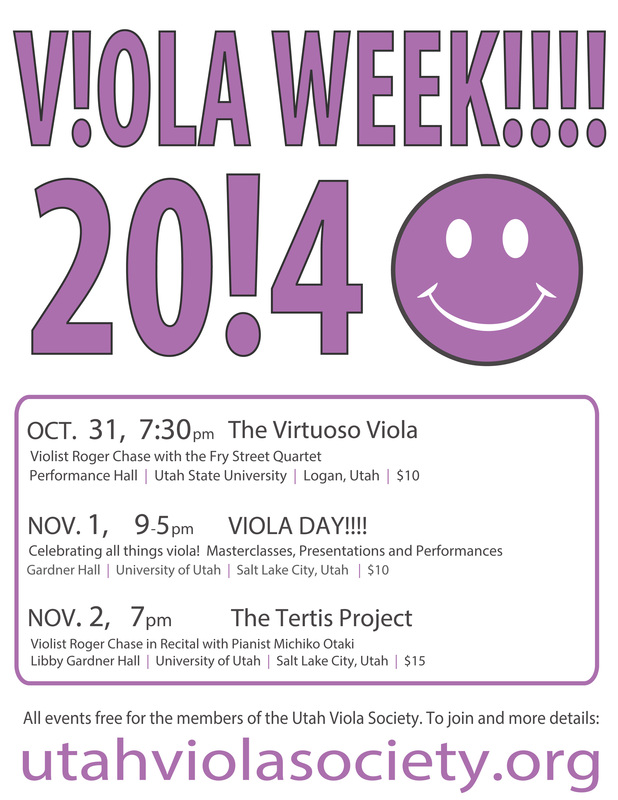 Viola Week is within sight – October 31 to November 2. Last year rocked, and we hope to see everyone again…plus lots of new friends. We need the help of every one of you to make this a success. A strong local viola society will need to be a true grassroots effort. What can you do? 1) Word of mouth is a powerful thing. We’re counting on you all – let’s get the word out and make this a fantastic event! Make sure these dates are in your calendar. Bring a friend, encourage your students to attend, talk to your teacher. 2) Forward this email – we’re building a mailing list, but there are far more violists out there than we can ever include. if you’re a teacher, make sure this gets to all your students! We don’t want anyone to miss out. 3) I am attaching a PDF file of our Viola Day poster – please print this out and post it in your place of work or study. (It looks best in color, it’s purple of course! ) If you would like copies sent to you, email me directly and I will put them in the mail. We will soon be starting a membership drive, we want as many people as possible signed up for the UVS by October 1. All UVS events, Viola Week and beyond, are included in your membership fee. We have the capability to register online, I will follow this email soon with more details about exactly how to do this. Look below for a rundown of events, with more details to come! Friday, Oct. 31, 7:30 PM – The Virtuoso Viola – Concert at Utah State University featuring Violist Roger Chase and the Fry Street Quartet with a mixed program of solo viola and chamber music. The program will include Kodaly’s transcription of Bach’s Fantasia Chromatica, Rolla duo for violin and viola, Paganini’s Sonata per la Gran Viola, and the Mozart Quintet in C Major. Saturday, Nov. 1, 9am to 5 PM – Viola Day!!!! 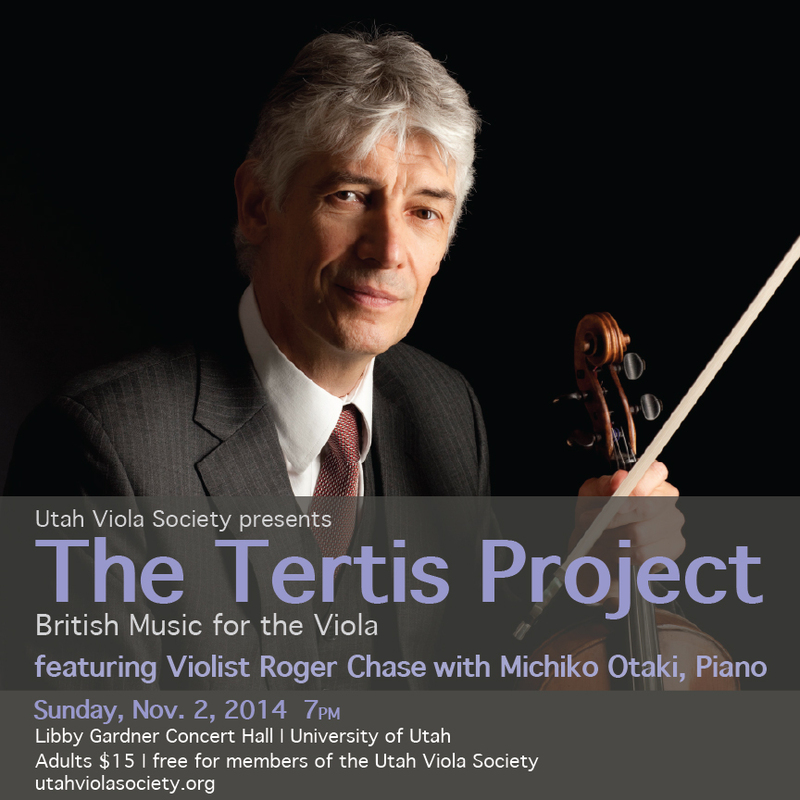 at the University of Utah, a full day’s worth of events including a masterclass with Mr. Chase, an exhibition of local luthiers, a lecture/performance by Leslie Richards, the premier of a new viola quintet featuring Brant Bayless with the Fry Street Quartet, and a concert of Viola Ensembles.